how about the cunningham 1950 cadilac coupe? could the Hudson hornet be used as a base ? Sorry to sound ignorant but thats the way I am about computer programming . The cars that would lack for a complete experience Le Mans = World of Sports Cars = World Sport Prototypes, would be: from 1953: Cunningham C4R, Lancia D20, Talbot Lago 26GS, Ferrari 340MM, Jauguar XK 120-C, Alfa Romeo 6C / 30, Aston Martin DB3S. 1954: Cunningham C5R, Ferrari 375 Plus and 375MM, Lagonda DP, Aston Martin DB3S SC, Aston Martin DB3S Coupé, Bristol 450, Frazer-Nash Coupé, Gordini T17S, Renault 4CV. 1955: Lagonda DP166, Ferrari 735LM and 750M, Cunningham C6R, Maserati A6GCS, MG EX 182, Cooper T39, Lotus Mk9. 1956: Ferari 625LM and 500TR, Talbot Lago Sport 2500, Maserati 150S, Lotus Eleven. 1957: Maserati 450S Spyder and Coupé, Ferrari 335S, 315S and 90MM, Lotus Eleven 2. 1958: Lister Storm, Masearti 200S, Lotus Mk15. 1959: Ferrari Dino 196S, Triumph TR3S. 1960: Ferrari 250TR / 60, Triumph TR4S, Deutsch & Bonnet HBR5 Coupé. 1961: Maserati Type 63, Ferrari 250TR / 61, 246P. 1962: Maserati Type 151, Ferrari 330TR / LM, 330GT, René Bonnet Djet 2. 1963: Maserati Type 151/1, Ferrari 330LM, Lister Coupé, Alpine M63. 1964: Maserati Type 152, Ferrari 330P, 275P, René Bonnet RB5. 1965: Ferari 365P2, 330P2, 275P2. 1966: Ferrari 330P3, 330P3 Spyder, Dino 206S. 1967: Ferrari 330P4. 1972: Chevron B21. 1974: Mirage GR7. 1975: Mirage GR8, Chevron B26. 1976: Mirage GR8, Chevron B36. 1977: Renault Alpine A442, Porsche 936/77, Cadenet T380, Inaltera LM77, Sauber C5, Lola T294 / T296. 1978: Renault Alpine A443, Porsche 936/78, Mirage M9, Rondeau M378, WM P77. 1979: Rondeau M379, Dome Zero RL, Mirage M10, WM P79. This would complete all the phases of the 50's, 60's, 70's. 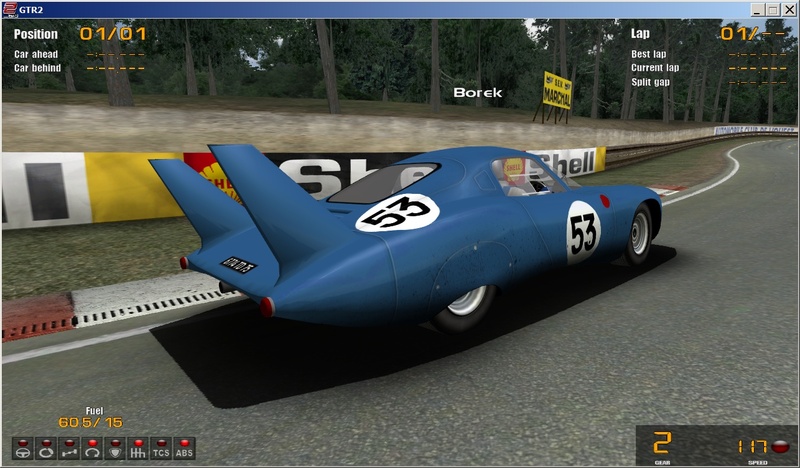 It may seem like a lot, but for those who know how to play 3dsimed and 3dmax graphics programs, I would add some small details to the cars already created, . Some of the late 70's are present in the mod that was made for the Rfactor of the group that created the mod of Group C, which I own as well. 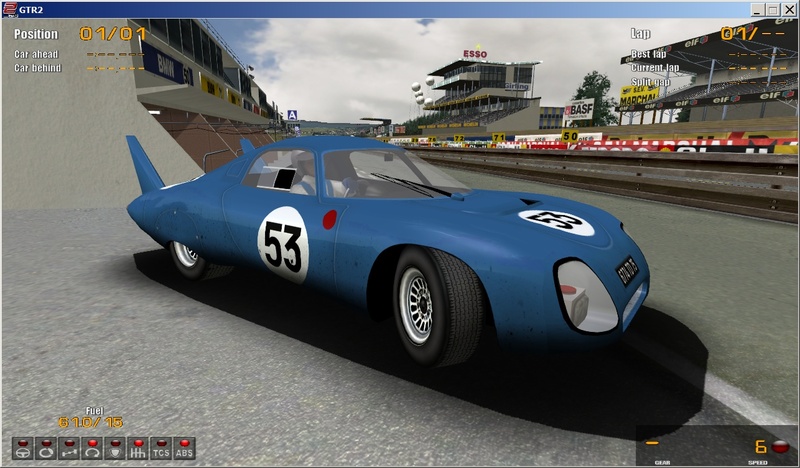 Many cars that are mentioned are classic that beat Le Mans, like the Ferrari of the early sixties, which I can not find nowhere for any current or old game. 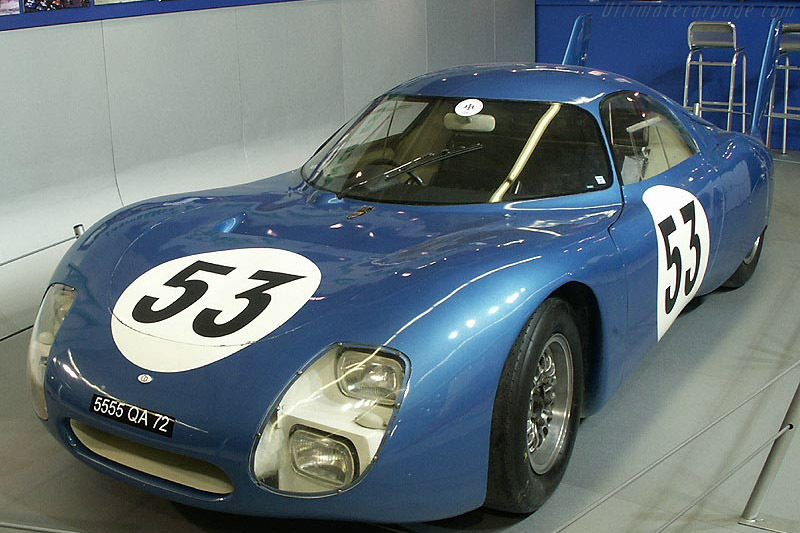 That's a big challenge for the modders to complete the spectacular Absolute Le Mans Plus. Some of these cars are already available to GTL since a long time, including here at Evolution, and others sites, like the Bude. Look for them, it's not difficult to find. Good luck! 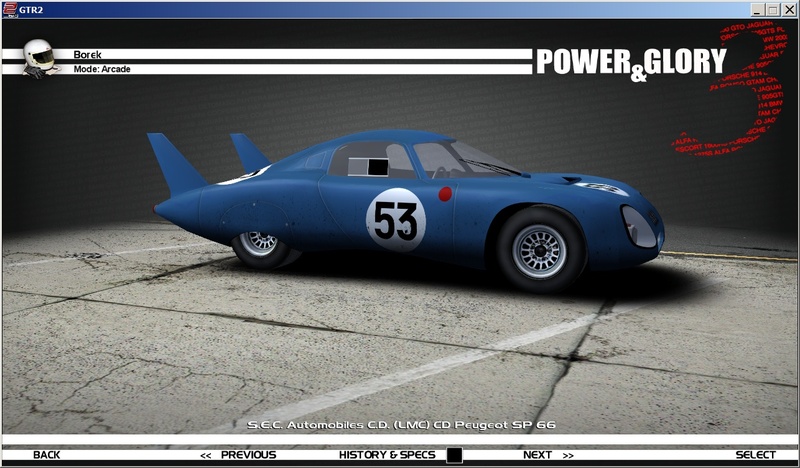 my 2c to the mentioned Antonios Absolute Le Mans mod, I am taking it as a base source what all cars are available over the simscene. I love this project, which still is updated. currently I am focused on the 1967 Le Mans 24 Hours grid and decided to make such season missing cars, I mean those which we cant find at the Absolute mod even.